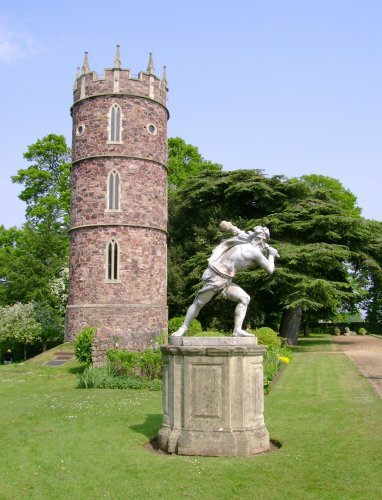 The water tower and statue of Hercules in the gardens of Goldney House. fed the cascade in the grotto and the fountain in the canal pond. The lead statue of Hercules dates from 1768.